A personalization is a question you ask of the buyer so you may customize their item. For example, a bracelet might have an engraving option that asks "What engraving would you like?". The personalization is setup on each product. View it by using the advanced product editor and click the Options/Variants tab. 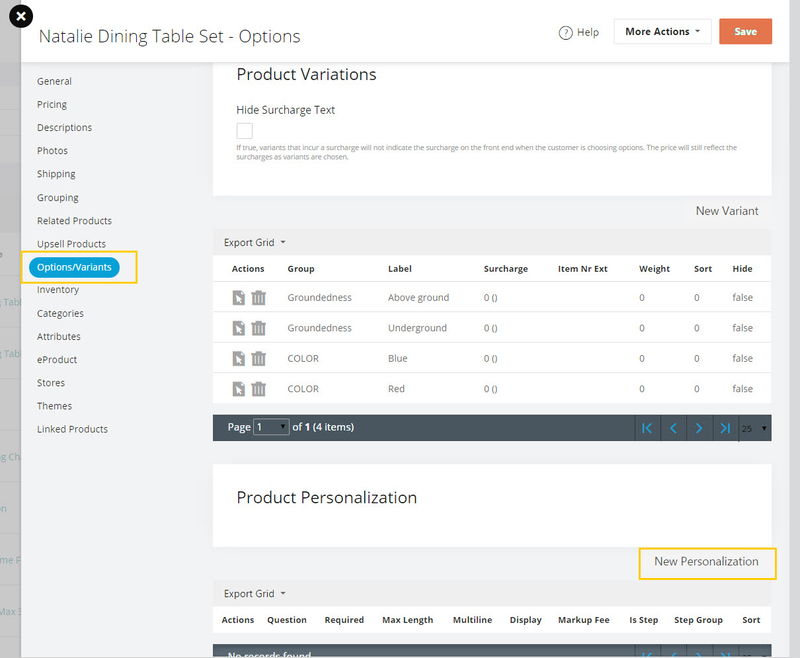 To see the personalization options, create a new personalization or edit an existing one. Ask the questions you would like answered on each product and they will show up next to the variant options. If you would like the placement moved, this is done in the Product Details HTML Editor. Is Step - Marks the personalization as required. The personalization must be set before other personalization questions are able to change. Step Group - This groups the steps so you can have multiple related groups that have their own steps. Use the same number for each group. Hey Marilyn! Thanks for the question! On your products personalization tab, there is a column called "Actions". Underneath actions there are 2 symbols, a piece of folded paper with a mouse pointer in it and a trash can. The folded piece of paper with the mouse pointer is used to edit a personalization. The trash can is used to remove a personalization.